Norman Orentreich, a New York dermatologist, is widely considered to be the father of modern hair restoration. However, his great discovery, which has revolutionized the field of hair loss, was an accident of sorts. In the early 1950s, Norman was performing experimental research on vitiligo when he noticed something quite unusual happening to his patients. He found that hair would continue to grow when skin grafts from hair baring areas were transplanted into areas affected by alopecia. He pursued the potential of this discovery by working with patients experiencing male pattern baldness. In 1952, Norman performed the first successful hair transplant procedure when he surgically transplanted balding resistant hair follicles to the scalp. Over the next ten years, Norman performed hair transplant surgery on over 200 patients who hoped the doctor would be able to restore the luxurious locks of their youth. 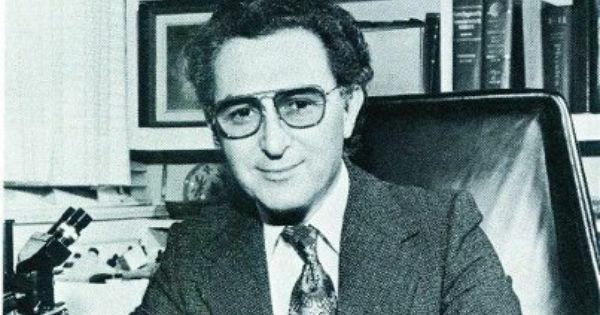 Norman Orentreich was a leader in shared learning, and he published his insights in hair restoration in several medical journals. His groundbreaking research was initially rejected by the medical community, but Norman nevertheless persisted in pushing his theory on donor dominance. He believed that transplanted hair would retain the traits of its donor area rather than its recipient site. This basic principle is now viewed as the foundation of surgical hair restoration practiced today. His visionary work has helped millions of men revitalize their hair and thereby regain confidence in their looks. Today, NeoGraft is one of the most effective treatments to combat hair loss. The minimally invasive procedure offers more natural looking results than the kind Orentreich was able to achieve in his lifetime. This Father’s Day, if you want to treat your father with a special gift that can completely change his look and make him feel younger, have him visit the Metropolitan Vein and Aesthetic Center in New York. Our team of experienced technicians will work with him to find personalized solutions for his thinning hair. Contact us today at 914-295-2202 to schedule a free consultation.